In this May 17, 2015, file photo, authorities investigate a shooting in the parking lot of the Twin Peaks restaurant, in Waco. 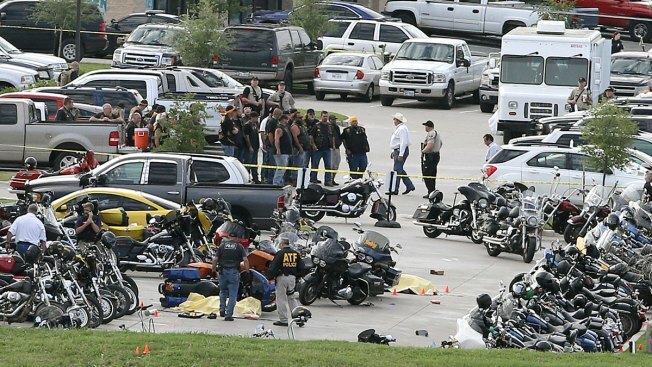 Three members of the Bandidos motorcycle club were indicted on murder charges Wednesday stemming from a chaotic 2015 shooting that involved police and members of another biker club outside a restaurant in Waco. 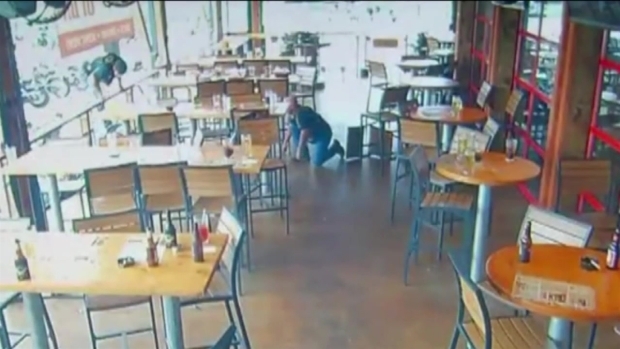 Surveillance video acquired Thursday by NBC 5 shows the shootout that left nine people dead and injured 18 at a Waco Twin Peaks restaurant in May. Only one biker -- Jake Carrizal, a locomotive driver and the president of the Dallas chapter of the Bandidos -- has been tried. His trial ended in a hung jury and a mistrial last fall, though he was among the bikers re-indicted on Wednesday. Carrizal is now facing a new charge of rioting. 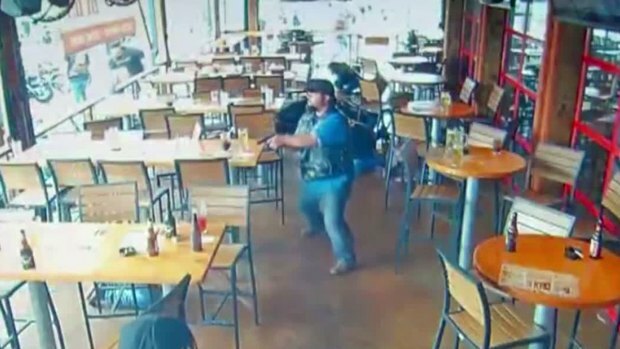 NBC 5 in Dallas-Ft. Worth obtained surveillance video of a shootout between biker clubs and Waco police officers that left nine people dead and injured 18 at a Waco Twin Peaks restaurant last May.